The best woods, The best woodworking, the best finish. 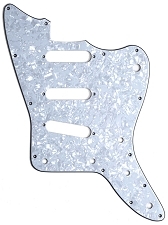 This is a new style Offset Body system. 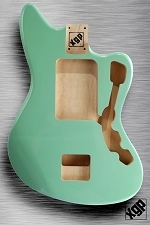 Sure, we've stayed pretty true to the original 1962 Specs, but we've routed these to accept ANY pickup configuration. 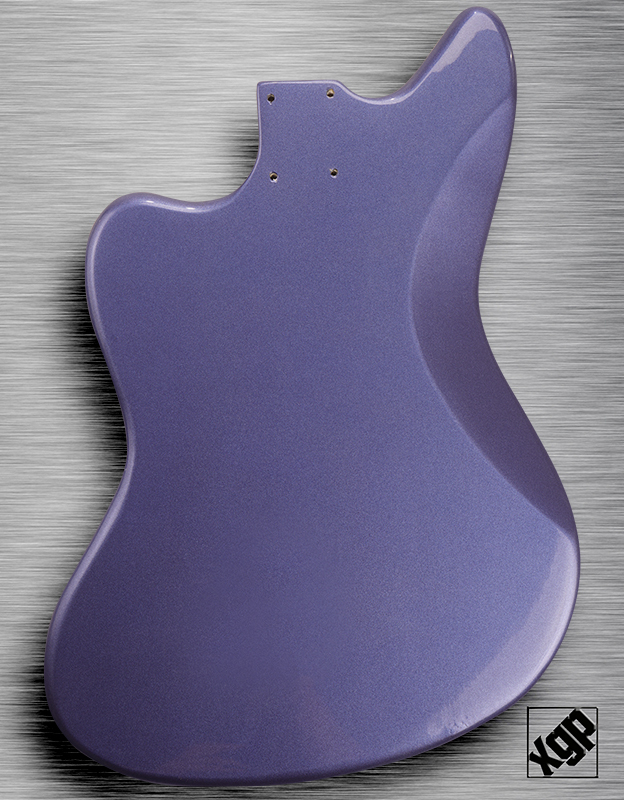 We know most modern players have no use for finicky tone wheels and the other antique stuff, so we've cut these to accept a toggle or 5 way switch, Volume, Tone and output jack. 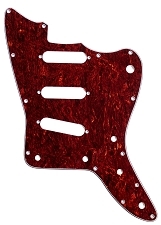 We even have a perfectly matched series of pickguards for you to completely customize your build with very little work. 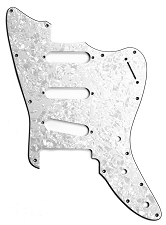 We've cut the body to accept the classic jazzmaster style vibrato tailpiece (Which we sell here) , and any number of tuneomatic style bridges. 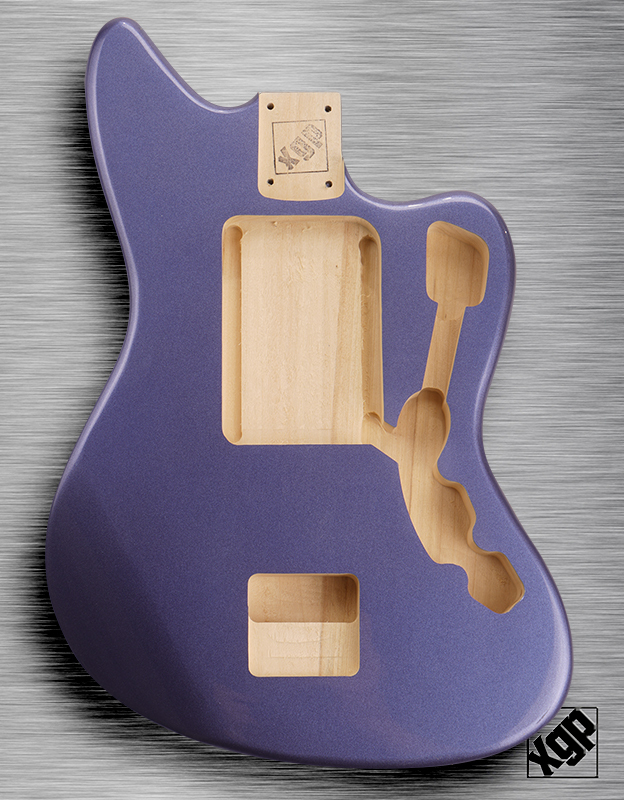 You will need to drill the holes for the bridge you choose, but the matching pickguard is pre-cut so you can't mess it up. These are cut from crisp white poplar, and we pay extra for the very best, driest, hardest varities. An excellent and toneful body is what you have here. 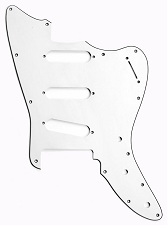 While you CAN use this with standard Jazzmaster parts, you will find our matching pickguards and parts are a PERFECT fit, and highly recommended. 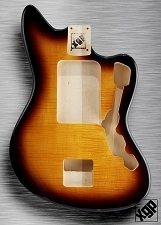 We think this body compares VERY favorably to bodies sold in the $200-$400 range. BUY DIRECT and save!